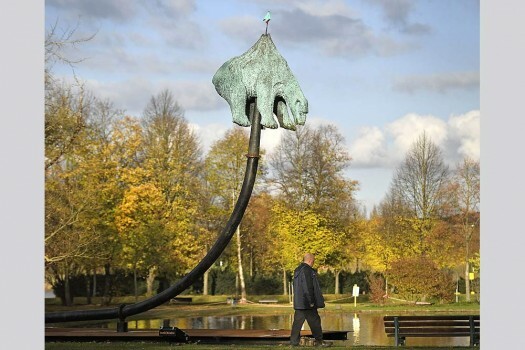 A man passes by the sculpture with a polar bear on a spear by Danish artist Jens Galschiot in a park outside the 23rd UN Conference of the Parties (COP) climate talks in Bonn. 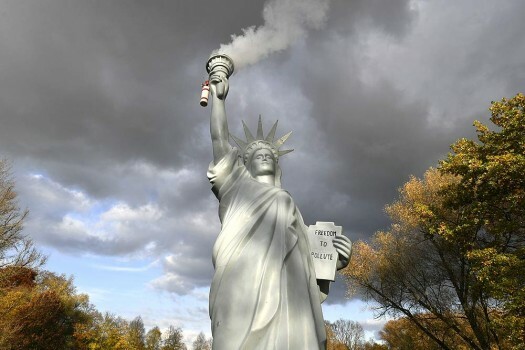 A replica of the Statue of Liberty by Danish artist Jens Galschiot emits smoke in a park outside the 23rd UN Conference of the Parties (COP) climate talks in Bonn, Germany. 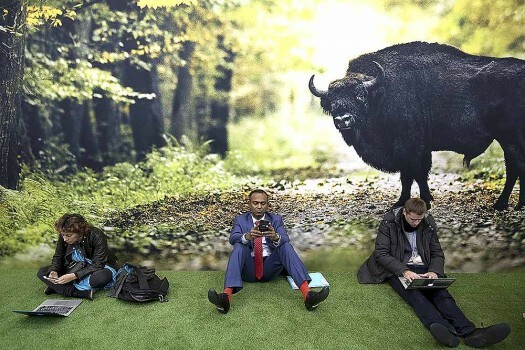 Participants sit on the floor in front of a poster during a break at the UN Climate Conference COP23 in Bonn, Germany. 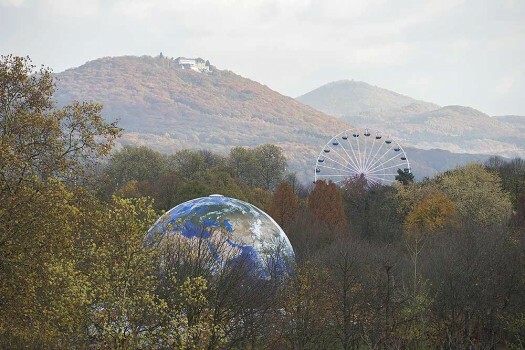 A globe and a Ferris Wheel stand in the forest near Bonn, Germany. 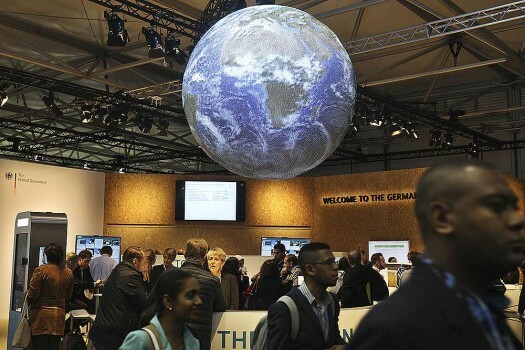 The UN Climate Conference takes place in Bonn, Germany till Nov. 17, 2017. 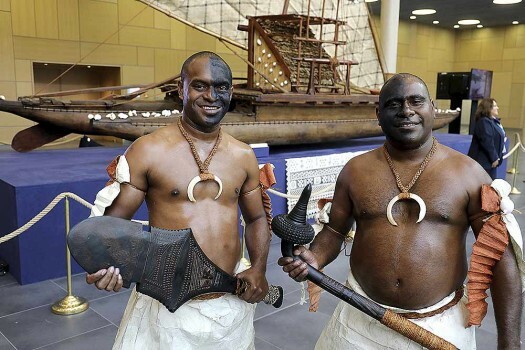 Representatives of the Fiji Islands pose in traditional clothes in front during the UN World Climate Conference in Bonn, Germany. 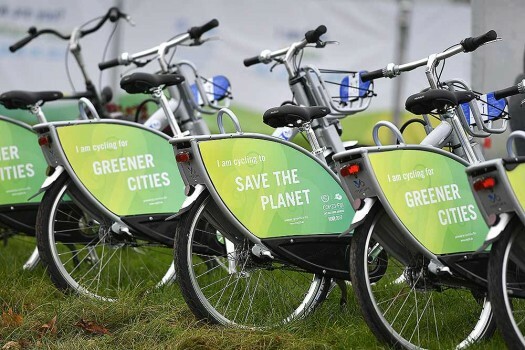 Bicycles reading "save the planet" wait for customers at the COP 23 Fiji UN Climate Change Conference in Bonn, Germany. 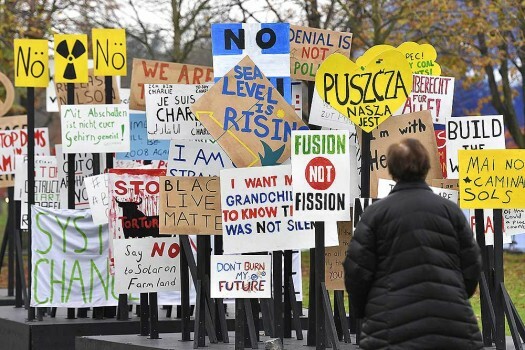 A visitor watches protest banners outside the COP 23 Fiji UN Climate Change Conference in Bonn, Germany. 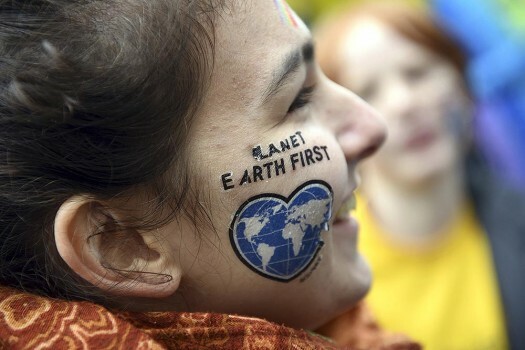 A participant of the Greenpeace demonstration 'Kids for Earth' protests in Bonn, Germany. 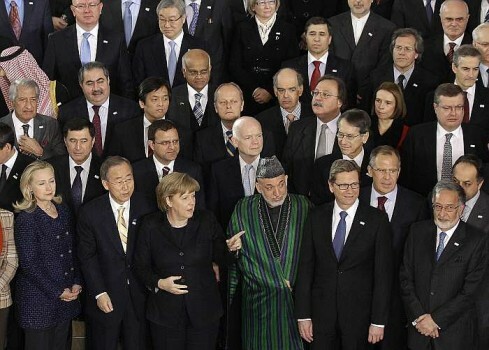 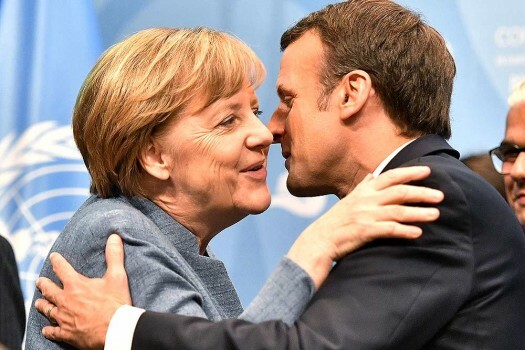 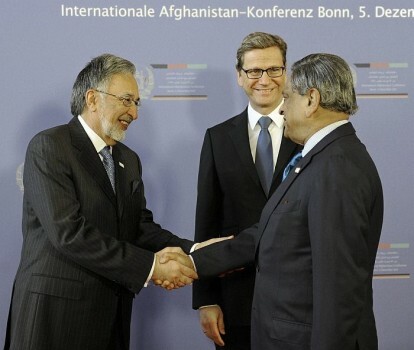 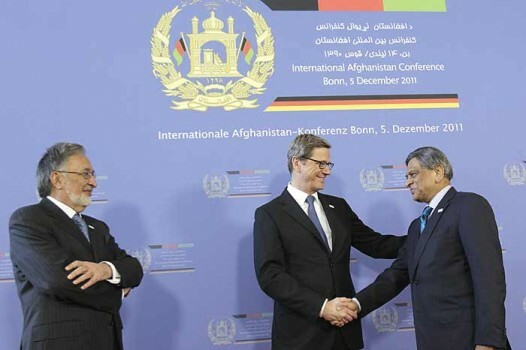 The UN Climate Summit started in Bonn. 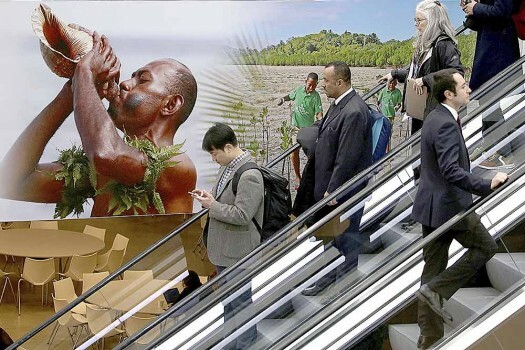 The World Climate Conference delegates pass by a poster of the Fiji Islands in Bonn, Germany. 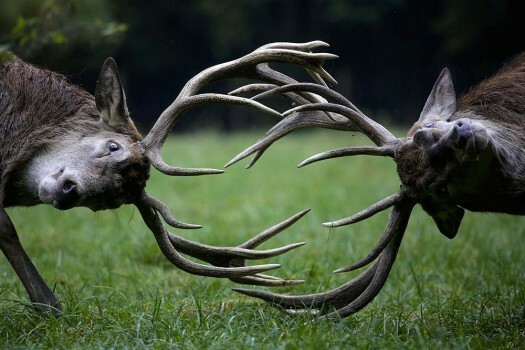 Red deer fight during the rutting season at a wildlife park on a fall day in Bonn, western Germany.